It’s almost Easter and it’s time for the annual “lift-in” where the various caravan-racing classes get lifted into the water for the year. As a result the actual race boats get expelled from the parking for several weeks to allow the crane into the forecourt. And the forecourt has been busy recently too, with lots of people working on their racing caravans; putting in cushions, cleaning out the kettle, putting bedding material into the bilge, replacing the curtains….all vital race preparations. And blocking the boat park. Nevertheless, while we can’t go racing for a while, we can still enjoy the scene in the various harbors around the country. 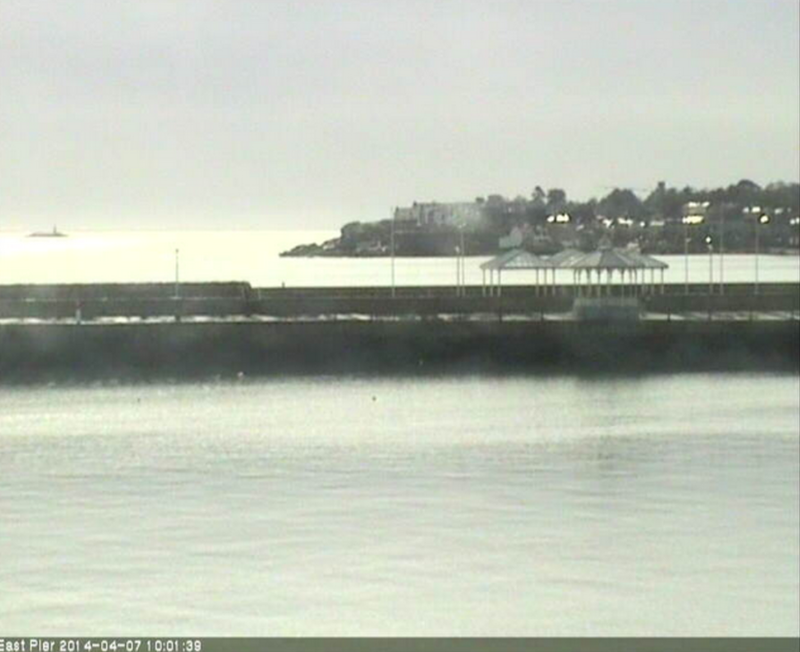 This is Dun Laoghaire this morning. We’ll be back on the water in a couple of weeks at the beginning of May. The MBK is repaired, Beastie’s broken gooseneck will be easily repaired this week, and the various skippers’ knees and toes will all finally be recovered by the end of April. So, it should be a good summer! And there are two decent and inexpensive boats for sale in England. Interested? « Frostbites over – all hail the Spring!